A developer says units in the former Gate of Heaven school will lure professionals seeking to live close to downtown. For better or worse, another proud institution of South Boston is being turned over to young professionals. Gate of Heaven Elementary School, closed by the Archdiocese of Boston in 2009, is targeted for redevelopment by a Boston firm that wants to build 39 apartments and a new rooftop garden. Across the street, the Gate of Heaven gymnasium will be converted into residences by a developer who is also building homes where the parish’s rectory once stood. The projects are a microcosm of the rebuilding that has transformed large swaths of South Boston with modern residences and retail stores that cater to a growing population of young professionals, many of whom work nearby in downtown Boston. The redevelopment has stoked lingering tensions over the rapid influx of newcomers, although many longtime residents also appreciate the property improvements. A spokesman for the archdiocese said Wednesday there are no plans to shutter the massive church, which has undergone $6 million in improvements in recent years. 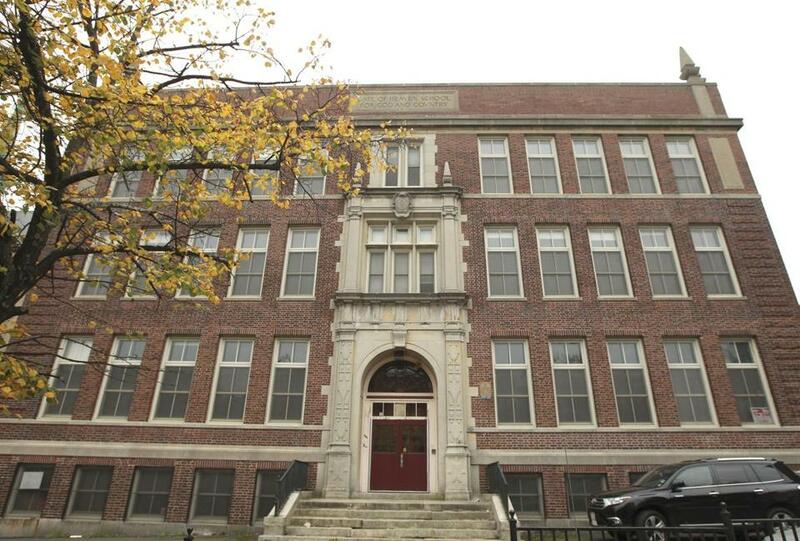 Its school building, constructed on East Fourth Street in the 1920s, was closed when Gate of Heaven and St. Brigid’s merged their schools to form South Boston Catholic Academy, a Pre-K through grade 6 school. Developer Berkeley Investments Inc., which built the FP3 condominiums in nearby Fort Point, is promising to preserve the building’s original architecture and restore parts of the brick facade that have deteriorated over the years. The $18 million project, designed by the firm Bargmann, Hendrie + Archetype Inc., will include 44 surface parking spaces and a mix of studios and one- and two-bedroom apartments. “The existing floor configuration is ideally suited for a repurposing of the building from airy, hardwood-floored classrooms to thirty-nine light-filled residential units,” Berkeley representatives wrote in a proposal filed with the Boston Redevelopment Authority, whose approval is needed the project. Berkeley has not disclosed rental prices of the units, but in its filing said it expects the building’s high ceilings and enormous windows will be appealing to young professionals looking for a modern apartment close to downtown. Last week the BRA gave the go-ahead for a separate project to redevelop Gate of Heaven’s shuttered gymnasium building. The Cronin Group, developer of the Liberty Wharf restaurant complex in the Seaport, will renovate the gymnasium into 24 residences that will complement adjacent homes under construction at the rectory site. The redevelopment of church properties has contributed to sweeping changes in South Boston in recent years. For example, the former St. Peter and Paul’s church — now a 44-unit condominium building — stands in the middle of a dramatically transformed section of West Broadway. The area, formerly home to the James “Whitey” Bulger hangout Triple O’s, now hosts hundreds of upscale residences, a wine bar, and several new restaurants. South Boston’s first Starbucks is even expected to open soon in the building that housed the old Quiet Man pub. “We used to call that the lower end, but there’s really no such thing anymore,” said Kelly. The Gate of Heaven project is planned to include five affordable units and updated landscaping around the perimeter of the property. The developer has not set a timetable for starting construction.